The Yongquan Martial Arts Association practices a form of Yang style Tai Chi Chuan passed down from Yang Chien-Hou, through Sun Lu-Tang, General Lee Jing-Lin, Ku Yue-Chang, Kim Sheung-Mo and Lam Kam-Chuen to Raymond Rand (Yongquan technical director and senior instructor). Other influences are Sun Lu-Tan, who also taught Ku Yue-Chang, and the venerable Yun Hang, Chueh Wan and Lau Sau-Hong; bringing elements of Hao and Sun style Tai Chi Chuan, Pa Qua, Hsing-I, Tung Bei boxing and I-Chuan to the style. This is 'old style' Tai Chi Chuan, as opposed to the later Yang Cheng-Fu or Cheng Man-Ching modified forms or the later still 'stylised' versions, which were developed by the communist regime in modern China under the banner of Wushu, such as the 24 step and 48 step Forms. The emphasis in training with most Yongquan teachers is on the martial arts aspect of Tai Chi Chuan. However, all our teachers are versed in the health and esoteric aspects of the art and one or two focus on these exclusively. Nei Kung (internal energy training) can also be studied, including Iron Shirt and Iron Palm Nei Kung, both for health and self defence. Tai Chi Chuan works on the body at a very deep level. Gradually strengthening the whole being from within by providing a gentle but powerful form of callisthenics, clearing the meridians (pathways through which internal energy flows, according to Chinese medical belief) and massaging the internal organs, reducing fat on the internal organs and encouraging improved circulation. Mobility of the joints, strength of tendons, circulation and digestive systems all benefit from the balanced movement. The calm and gentle nature of the Tai Chi Chuan Form helps to relieve stress and encourages a balanced lifestyle. 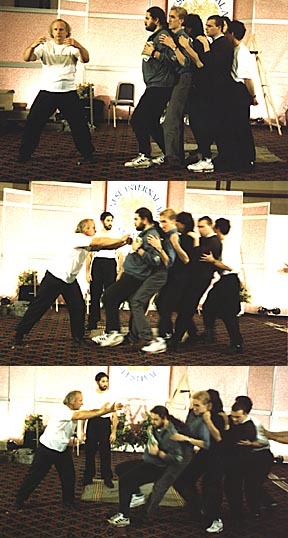 In the year 2000 Sifu Kerr discovered that by truncating the Old Yang Long Form (effectively by removing all the movements after the opening sequence and immediately beginning the closing sequence) a very small Form could be made which, although not suitable for learning Tai Chi Chuan as a martial art, is ideal for those who wish to practice the art for its health benefits alone. Many people find it hard to relate to Tai Chi Chuan as a martial art. This is perhaps due partly to the slow and gentle nature of most of the Form practice and partly to the fact that the majority of teachers teach from a 'health orientated' perspective. What makes Tai Chi Chuan unique as a martial art is its strategy. 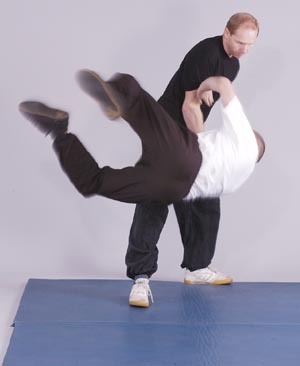 Most 'external' martial arts rely on such things as speed, power, specialised techniques and trying to outwit the opponent. 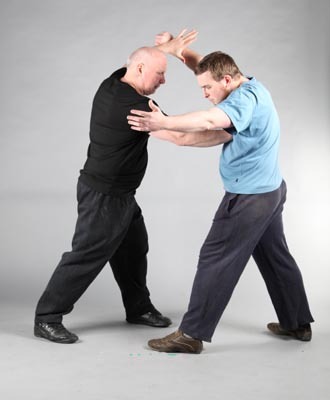 While Tai Chi Chuan may well use speed and power and certainly has its fair share of technique, the strategy is to follow the opponent, yield to the opponent, stick to the opponent and by doing so neutralise the opponent. Once neutralised it is easy to overcome the opponent by whatever means necessary. The key to this is sensitivity, developed by many hours of training in such techniques as push hands and honed in combat training. There are many other aspects to training Tai Chi Chuan as a martial art, of course, but the unique strategy and method of applying the techniques is what makes it what it is. It does take longer to become an effective fighter with Tai Chi Chuan than some other arts with more direct and simpler methods but while there is a limit to the speed or power which can be developed, based on physical capacity, age and so on, there is seemingly no limit to the level of skill that can be attained by constant practice and exponents of Tai Chi Chuan often remain effective fighters long after their external counterparts have ceased to train.